On Wednesday, August 6th, Dan weighed in on a case about an Emmy-award winning journalist who is accused shoplifting thousands of dollars worth of merchandise. 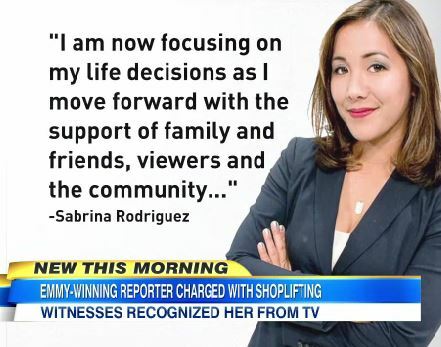 Sabrina Rodriguez, who was a reporter for Sacramento’s Fox40, was charged with grand theft and second-degree burglary for allegedly being a part of a handbag stealing tag-team, acting as a lookout for her then-boyfriend, Nicholas Gray. Rodriguez has yet to enter a plea but prosecutors have said that surveillance videos show Rodriguez picking up and shaking a wallet at Gray before he took it off of the store display and put into his bag. Rodriguez claims she knew nothing of the alleged thefts but a series of text messages may suggest otherwise. What could this evidence mean? Says Dan, “The text messages could be absolutely crucial if the defense here is ‘I had no idea that any of this was happening,” Watch the full clip here.